Bandsintown’s Stations on Notify by Facebook Expand Concert Promotion and Discovery — Bandsintown, LLC. Bandsintown now exists among some of the world’s top publishers on Notify by Facebook, a new app that delivers relevant and timely notifications that matter to you from the sources you love. Upon its initial release, Bandsintown is one of the featured Notify sources to provide relevant stations to users, notifying them about all-things live music. Everything concert-goers need to know about live music — just announced notifications for your favorite artists, notifications about the hottest concerts in town, even notifications letting you know who’s playing near you tonight or what’s going on sale today — all come straight from Bandsintown. 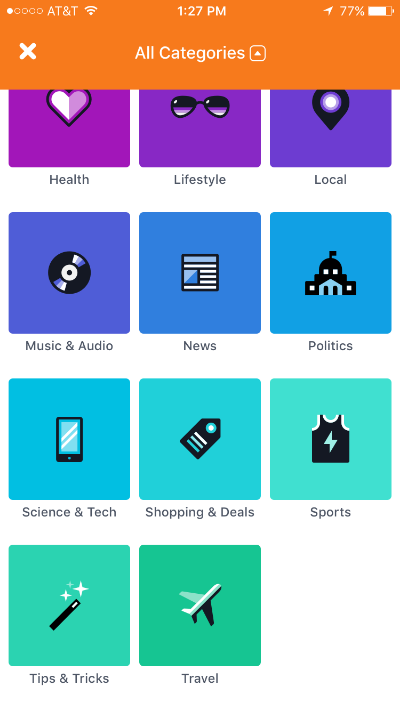 Notify uses Facebook single sign-on, so users get personalized station recommendations based on what they have indicated as interests on Facebook. Just follow the stations you want updates from and never miss a show again! Between finding out what Bandsintown Concerts are happening near you and are trending this week, you’ll also get Hot New Trailers from Fandango, Breaking News from CNN, 10 Best Dressed stories from Vogue, and everything else you care about. Follow Just Announced, Hot This Week, Playing Tonight, and On Sale stations from Bandsintown on Notify by Facebook. Download Notify by Facebook here.